President Trump will reportedly announce State Department spokeswoman Heather Nauert as his pick to succeed Nikki Haley in the role of U.S. Ambassador to the United Nations. Sources told Fox News Thursday evening that he will announce his decision in a tweet Friday. 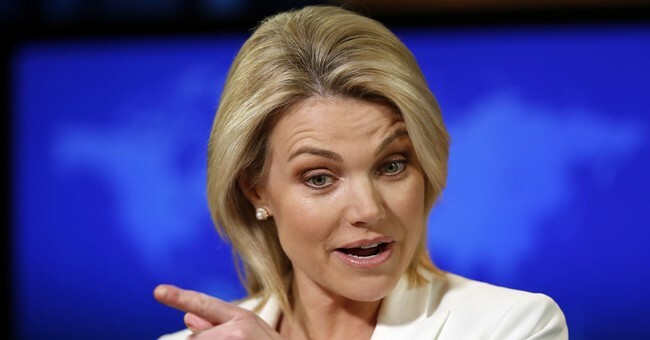 Nauert, 48, worked as a Fox News host prior to her role in the State Department. Bloomberg also reported Thursday that President Trump had chosen Nauert for the role. Nikki Haley abruptly resigned in October calling her time as UN ambassador the "honor of a lifetime." "There's no personal reason," she said of her departure. "It's very important for government officials to understand when it's time to step aside." "I want to make sure this administration, this president, has the strongest person to fight," she added. Haley also quelled speculation about a potential 2020 bid for president. "I expect to continue to speak out from time to time on important public policy matters, but I will surely not be a candidate for any office in 2020," she said. "As a private citizen, I look forward to supporting your re-election as President, and supporting the policies that will continue to move our great country toward even greater heights."